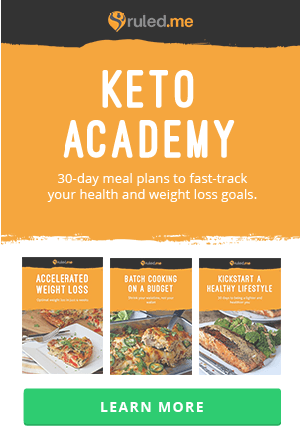 My girlfriend has been begging me to make a keto copycat of her favorite pizza: the Thai Chicken Pizza from California Pizza Kitchen. 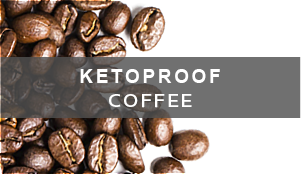 Though I’ve never had it before, I love experimenting with Thai style flavors, and thought this would be a really great treat to have! 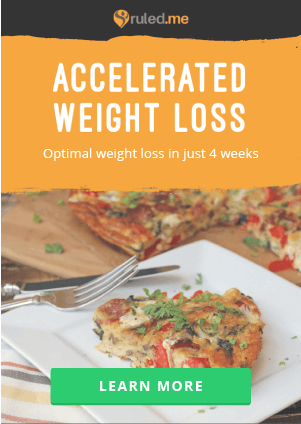 Of course, I’m using the same pizza base as the pepperoni pizza many of you have tried on the site – though we make it a little bit flatter and opt to go for the flatbread shape. 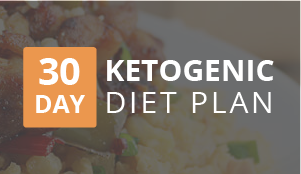 All said and done, it was a magnificent keto treat for us, and we definitely enjoyed every last bite of it over the next few days. The flavors are really fresh and vibrant. The acidity in the sauce really pops against the more earthy and nutty taste. 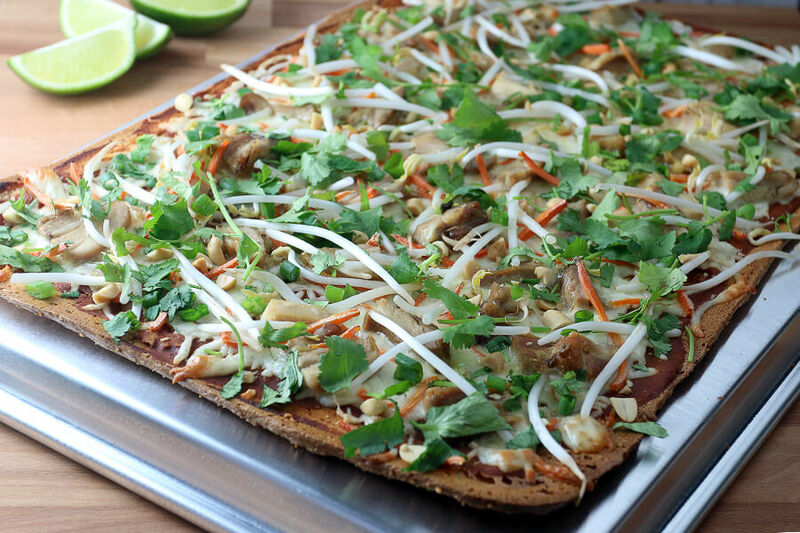 The mung bean sprouts and carrots on top add the extra crunch factor that really bring everything together. Plus there’s chicken thighs – and I always love chicken thighs. I will say that this is one of the more carbier dishes that I’ve created on the site. 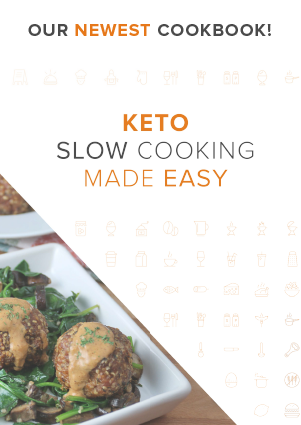 It’s got shredded carrots, which I very, very rarely use. Just be careful with the amount you eat. Luckily it’s extremely filling so you will only need about 2 slices. I chose to eat 2 slices and made a small side salad for me for dinner and I was very full afterward. 1. Pre-heat oven to 400F. First combine all of the ingredients for the sauce. 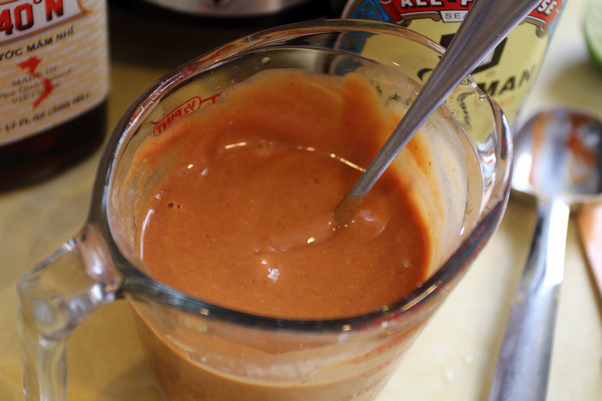 Use an immersion blender if you need to to emulsify the coconut oil into the sauce. I didn’t have too big an issue because I was using melted coconut oil. 2. Get the ingredients ready for the base of your pizza. 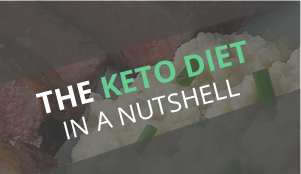 The mozzarella and cream cheese in one bowl, then all of the dry ingredients in another. Microwave the cheese for about 1 minute on high or until it’s melted and bubbling on the sides. 3. 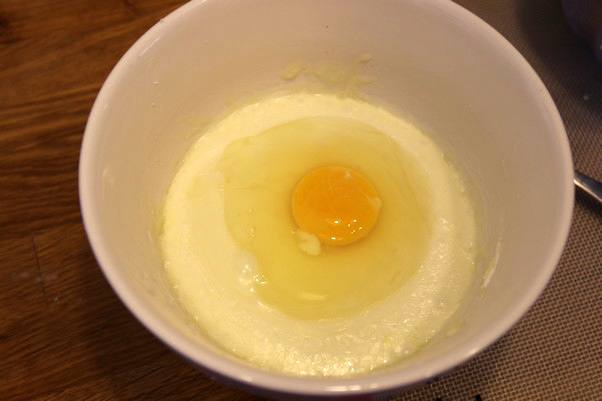 Add the egg to the cheese and mix together well. 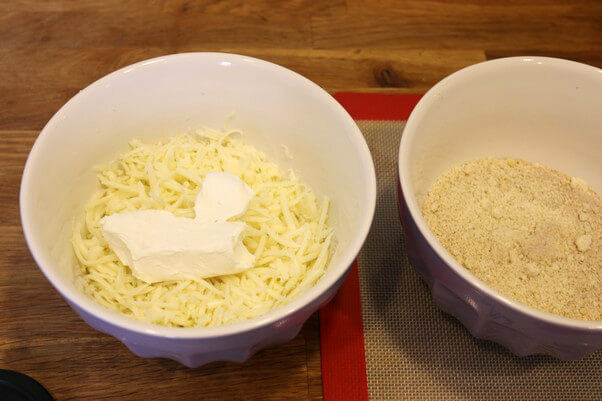 Then, add the dry ingredients into the cheese and thoroughly mix. 4. 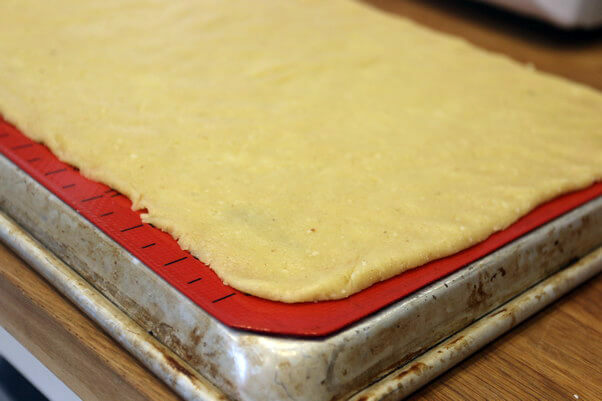 On a silpat, press the pizza base from edge to edge, creating a large rectangle the size of a cookie sheet. 5. Put the pizza in the oven for about 12-14 minutes, or until it’s nice and browned on the top. 6. 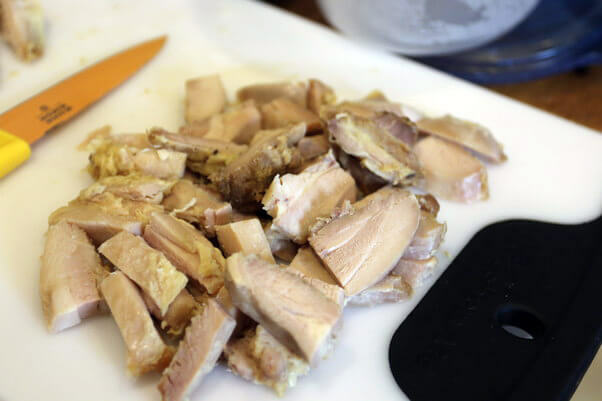 Chop the pre-cooked chicken into bite sized chunks and set aside. 7. 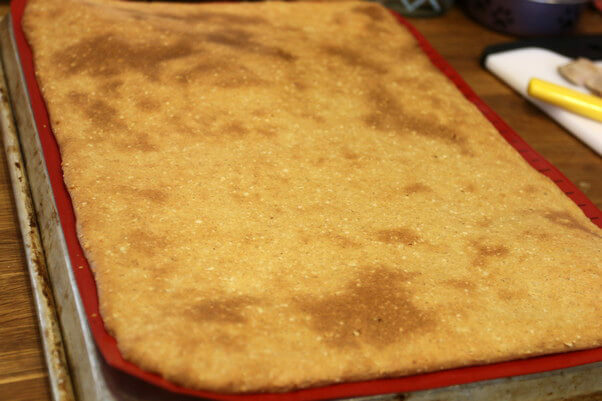 Flip the pizza over so that the bottom is now facing the top. 8. Top the pizza with the sauce, chicken, shredded carrots, and mozzarella. Place back into the oven for 7-10 minutes, or until cheese is nice and melted. 9. Top with mung bean sprouts, chopped spring onion, chopped peanuts and cilantro to taste. 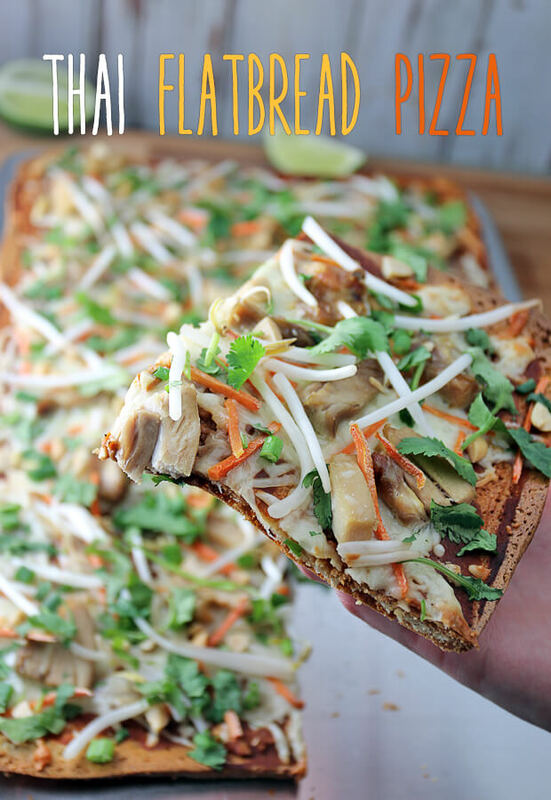 This makes 12 total slices of Keto Thai Chicken Pizza. 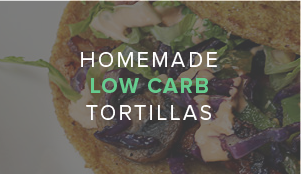 Each slice comes out to be 268 Calories, 21g Fats, 3.2g Net Carbs, and 15g Protein. Preheat oven to 400F. Mix together all sauce ingredients and set aside. Microwave mozzarella and cream cheese for the pizza base for 1 minute. Add egg, then mix together with all dry ingredients. 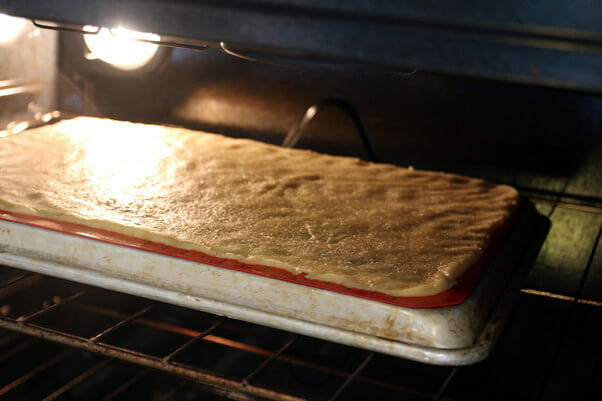 Spread dough onto a silpat, covering edge to edge, then bake for 12-14 minutes. 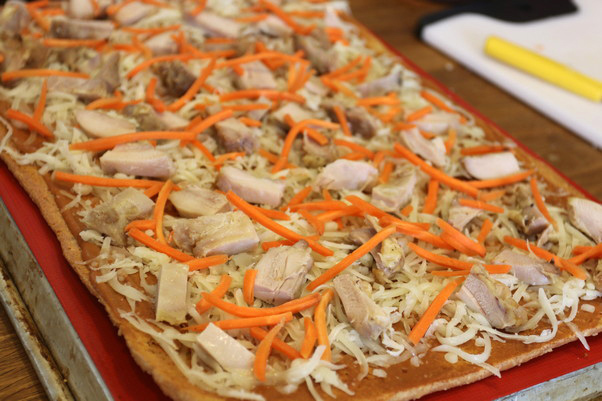 Flip pizza, then top with chopped chicken, sauce, shredded carrots, and mozzarella. Bake again for 7-10 minutes, or until cheese has melted. 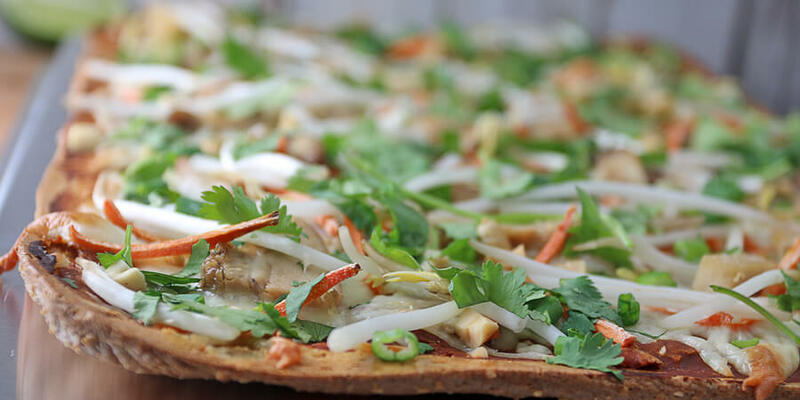 Top with bean sprouts, spring onion, peanuts, and cilantro.